New England Patriots, Malcolm Butler: Star In The Making | NFL News, as it happens, when it happens. Your one stop shop. NFL News, as it happens, when it happens. Your one stop shop. At this time last year Malcolm Butler was an undrafted rookie free agent fighting to make a roster spot. This year he’s the teams number one cornerback going in to the 2015 season, and by the looks of things Butler looks to be the real deal and that he could be a starting number one cornerback in the NFL. Everyone in the world knows about his Super Bowl winning interception, but that wasn’t Butler’s only good play he made during the season. Butler saw limited action throughout the year playing behind Revis, Browner and Arrington, who are now all playing for different teams. Butler isn’t getting the job because of the departure of the other corners, he’s getting it because he’s deserved it. He’s paid his dues playing and learning behind elite company, now he gets to exhibit his skills as a number 1 corner. This isn’t going to say that Butler is going to be an elite cornerback like a Darrelle Revis or Richard Sherman, those types of guys are once in a generation type players but Butler is going to be a very good corner in the NFL. Is it possible he could work himself into being an elite corner in the NFL? Sure, but for now its premature to say. 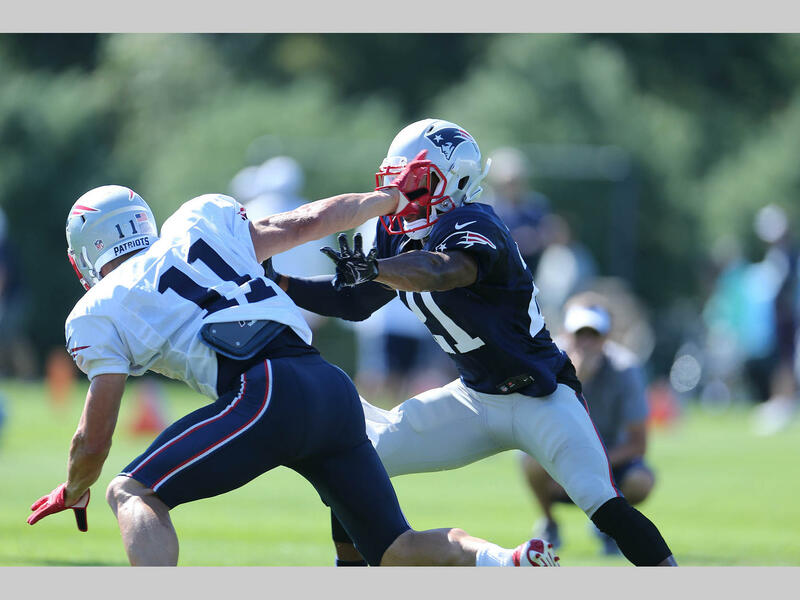 Julian Edelman vs. Malcolm Butler. Butler has shown his skills in both man and zone coverage and has continued to work on getting better from last year to this year and wants to be the best player he can be. He has shown good ball skills of course with his interception in the Super Bowl and as well as making great plays so far in training camp. Then one of the biggest things he has is the confidence and the swagger of a great corner. He was on top of the world after the Super Bowl by making maybe the best play in the history of the NFL, he’s shown that he wants to cover the best by covering Edelman and Gronkowski in practice and covering them well, covering Jordy Nelson and Randall Cobb against the Packers in week one of the preseason and not allowing any catches, covering Marques Colston and Brandin Cooks in week two of the preseason against the Saints. He showed his speed and hit power by leveling Brandin Cooks on a wide receiver end around by following him and making the big hit after Cooks crossed the line of scrimmage. 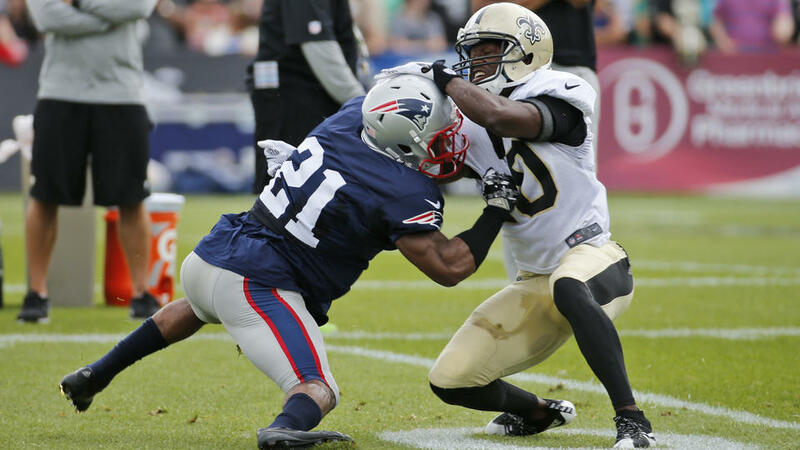 Cooks has 4.3 speed and is one of the fastest guys in the NFL and tracking him down is no easy task. After the play Butler got up got into Cooks face a little bit and just stood there with confidence and swagger. He’s drawn praise from coaches and players for his work ethic, ability and his determination to get better and wanting to be a great player. He struggled the first day of doing practices this week against the Saints, he came back the next day and had a very good day of practice and then played well in the preseason game against New Orleans. He knows what it takes and wants to be the best and keep improving, if he struggles he’s going to do something about it and change it and showed the ability to bounce back from a bad performance. 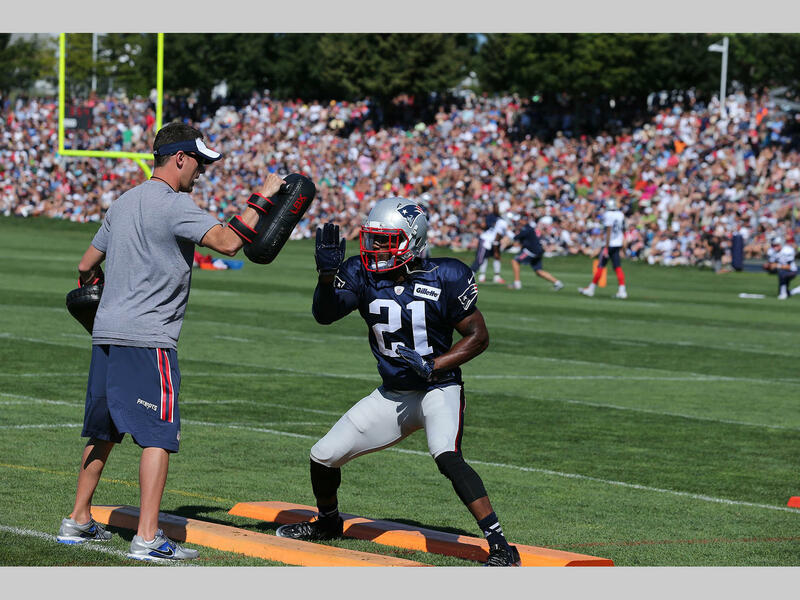 Butler is going to be the starting cornerback for the Patriots this season and he’s going to do a great job at it. With the more experience he gets the better he will get and maybe get into that Sherman and Revis category in a few years. For now he’s going to be the Patriots number one corner and hopefully do his job of stopping the opposing offenses number one threat. I wrote about Butler last summer going into the season and how well he performed in camp and had confidence in him being a contributor on defense, now I’m writing about Butler with him being “the guy” in the secondary and I still have all the confidence in him. Malcolm Butler is going to be a great player for the Patriots and can’t wait to see him in the regular season lined up against some of the best in the league and see how he performs. Previous PostNew England Patriots: Chris Harper moving up Wide Receiver Depth ChartNext PostNew England Patriots: A Return To Tight End City? Follow Goalline Gazette on Twitter! Your NFL news. A few laughs and hard nosed opinions and facts. What more could you want? It's a one stop shop.